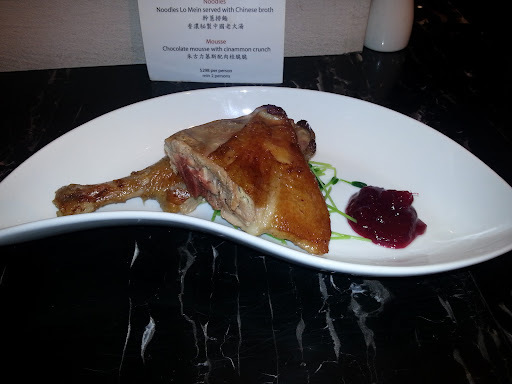 We served a very chinese braised duck with plum sauce at the old restaurant. Now I want to put something more interesting at the noodle bar. A modified duck confit ? Duck fat is hard to find so instead I used butter. I also decided to slow cook it at a slightly lower temperature than usual. Then as a sauce, I made some roselle jam. Roselle flowers are only available during October and November , so it'll be a seasonal dish only.